Are you ready to take your DTP skills to the next level, learning journal binding methods for books and other publications? Your choice of methods will depend on how many pages are in your project, the type of investment you want to make in equipment, and the use of your publication. This choice will also affect the software you use in regard to the margins and setup of your publication. 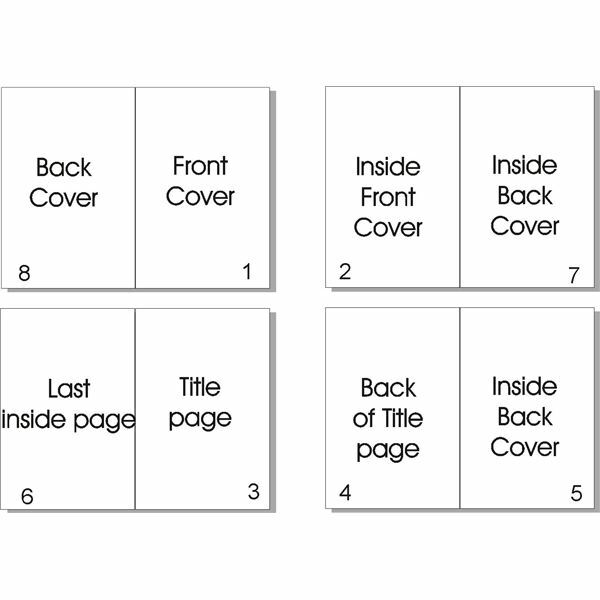 For most methods, it will be a simple matter of setting your margins to allow for the binding space and “creep" (when the fold of the booklet makes the outside pages of the booklet shorter than the first folded pages). For others, you may have to match your page size to the do it yourself kits you use. Saddle stitching is basically a matter of using a long reach stapler to stitch your pages together with a vertical staple “saddling" (or in the horizontal middle of) your pages and folding those pages in half to form a spine. The only equipment required is a long reach stapler that can be bought for around $20 that staples 20 pages; expect to pay a little more for those that staple larger amounts of paper and possibly a paper cutter to even up the edges of your booklet caused by creep. The biggest asset will be a program that will set up signatures like Pagemaker, Adobe InDesign, QuarkXPress, Corel Ventura, Microsoft Publisher, Scribus (a free program!) or Page Plus. The diagram to the left is for an 8-page booklet made from 2 pieces of paper printed on both sides and folded together. The size of the paper could be 11 x 17 or 8 ½ x 11, either way when the book is “stitched" or stapled at the fold, it becomes an 8-page booklet. The advantages of this type of binding is the low tech, low cost production and the ability for saddle-stitched books to lay flat. Covers in a light 67lb stock work best, although a laminated color copy works as well. The disadvantage of this type publication is the limit to the number of pages stapled. Although there are staplers that will staple much more than 20 pages (which, keep in mind, will make an 80-page booklet), there is a limit to the number of pages that will look right when folded over and merely held by staples. Another inexpensive way to bind a book is to buy the journal binding kits for under $20 at craft stores. In this case, you will definitely need to set your publication up to fit the size of the kits, which tend to be a non-standard size for DTP, but a standard size for journals. The kits include book board, book cloth, writing paper, headbands, linen thread, needles and instructions. All you need to complete these journal kits is glue. Tape binding, as you see on many library periodicals, is inexpensive but is less durable than other binding methods. There are machines that help apply the tape or the tape is available for under $10 for manually taping pages together. The pages bound in this method do not lay flat. Velobinding uses a plastic strip in the front and one in the back with teeth inserted into holes punched by a velobinding machine. 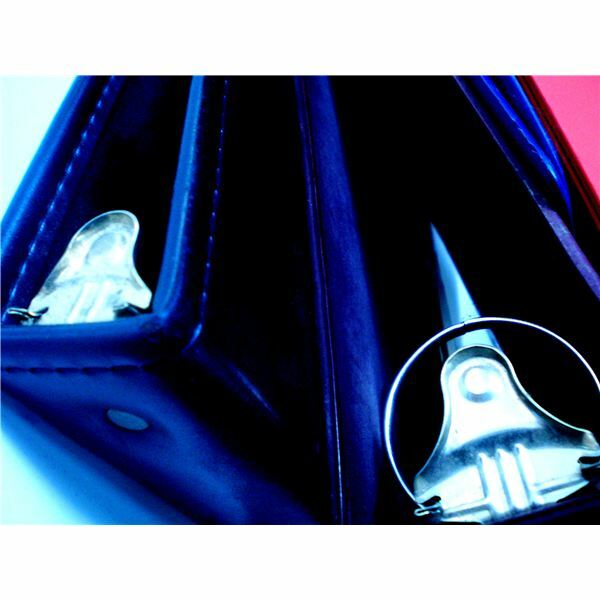 This binding can be riveted into place for document security and is popular with law and government offices that demand the added protection. This method of binding does not allow the document to lay flat. 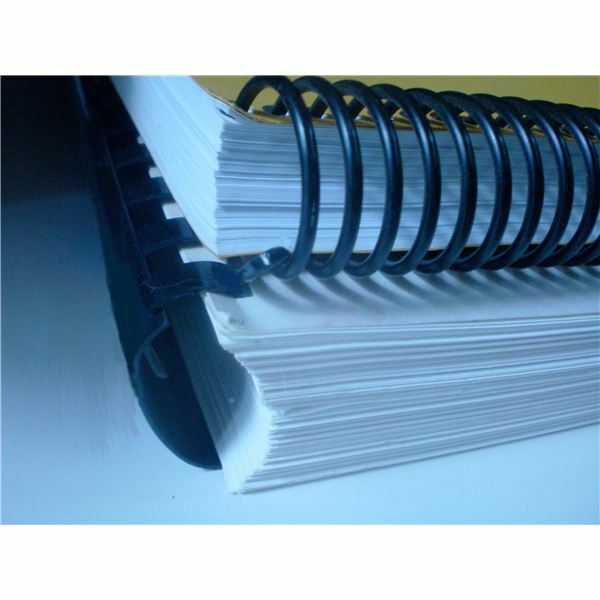 The simplest way to bind your project is in a three ring binder. The advantage of this method is that you can add to or delete pages as your project changes. It may also be a good way to assemble your project before committing to another more permanent binding method. Binders come with a see through sleeve that will allow customization of the title page of the front and the spine. After saddle stitching, one of the most inexpensive methods of binding is comb binding. This method uses a comb-binding machine that punches small rectangular holes on the side of the paper and then holds the plastic comb open while the operator threads the pages onto one side of the open comb. After all of the pages have been loaded, the comb locks together to prevent pages from falling out. Add cardstock, plastic or laminated covers to make cookbooks and manuals. Besides producing a flat lying book, pages in a comb-bound book can be added or deleted, as the books need updating. Light duty comb binding machines start at $50 and go up. The main difference in price depends more on whether the hole punch is manual or electric and the number of pages that can be punched at a time. If you do not want to invest in comb binding equipment, copy centers provide comb-binding services at a nominal price. Coil or Spiral binding machines start at around $189 and are more in the $500 range. This machine also punches many little holes along the side of the paper, holds the project together while the operator threads a continuous coil of wire or plastic through the pages, and then crimps the wire at the end with a pair of crimping pliers. 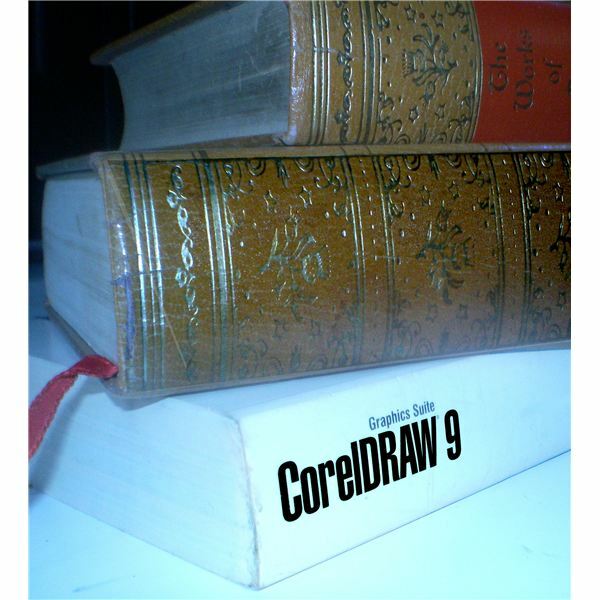 Spiral binding is best for documents up to one-inch think; any thicker, insertion of the coil is tricky, and the pages become difficult to turn. Spiral bound books do lay flat. A sturdier form than either spiral or comb binding is Wire-o or double loop wire binding. In this process, double loops of wire are crimped after being threaded through rectangular holes in the paper. Like comb and coil bindings, these allow the book to lay flat when open. Wire can use a hard cover, which makes it a better choice for higher-profile presentations and proposals. Perfect binding is for documents that are several pages thick, such as paperback novels, telephone directories and some magazines that publishers to not want to spend a lot of money on to bind. All of the pages or signatures of a perfect bound book are stacked together, jogged and flattened. Flexible glue applied to the spine attaches the paper cover to the spine. Compared to other binding methods, perfect binding is quite durable and has a low to medium cost. For smaller runs of perfect bound books, Thermal binding systems are easy to use. For this process, place the pages of your book into a preformed cover that comes with thermally activated glue. Jog the sheets of your book until they are even and then place the sheets and spine into a thermal binder. The glue is heated and the book bound in under a minute. Hard cover case or edition binding is a much longer process that involves sewing the individual signatures together, flattening the spine, applying endsheets and a strip of cloth to the spine. The hard covers are then attached. The spine of a case bound hard cover book is typically rounded and there are hinges (grooves) along the edges of the cover near the spine. Keep in mind that some of these journal binding methods have been around since books began, before the invention of electricity and binding machines, so it is not required to buy a lot of machinery to bind a book unless you just want to. Either way, there is more than one-way to bind a journal, book or publication. To become an actual desktop “publisher" you need to try at least one.